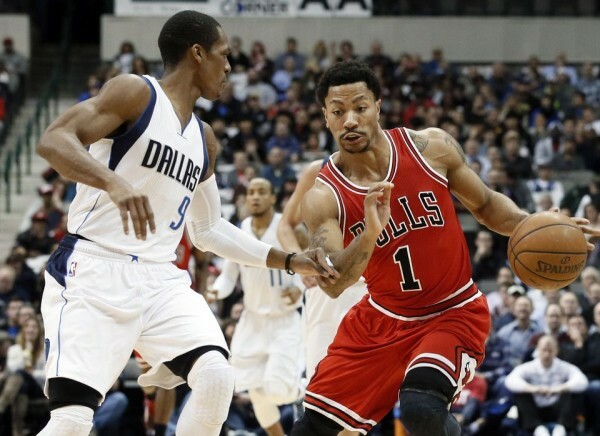 The scolding Derrick Rose gave his teammates through the media continues to have a positive effect on the Chicago Bulls, pulling off a 102-98 win over the Dallas Mavericks. Rose was excellent once again – so good he made Rajon Rondo, not exactly in the best of form, get benched and not participate in the action during crunch time. Because when Rondo isn’t guarding well, there’s a very good chance he’s close to useless. His offense comes and goes, and with the Bulls defending like they know how in the last two games, Rondo did more harm than good for his team, finishing with 6 points and 4 assists on 3-of-9 from the field in 27 minutes. No wonder Carlisle preferred to see him sitting on the bench during the closing minutes, knowing at least he won’t be hurting his team from there. Despite turning the ball over 21 times, the Bulls pulled through in this game thanks to their shooting. They scored 31 points on 11-of-19 from catch-and-shoot playing, seven points more than their season average. They made 48.7% of their shots from the field and an even more surprising 56.3% from beyond the arc. Derrick Rose and Jimmy Butler did pepper the game with drives to the basket, mostly successful, ones, both of them finishing with 20 points. The Bulls complete a second consecutive win over a serious Western playoff team, this time on the road. They’re still without Joakim Noah and two key bench players, but playing a lot smarter than before has been making up for that, and suddenly the losing stretch seems long gone, as long as they keep up this kind of defensive focus and don’t lose their heads on offense. For all the praise the Mavericks are getting this season for their offensive performances, they’re really struggling against the good teams, even from the East.